For those who own a small truck, and a passion for camping, there are a few options out there for your favorite small truck when it comes to campers. 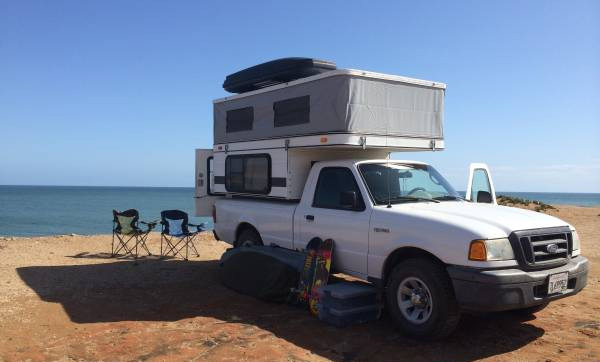 Below, we list 3 Ford Ranger camper options, and suspension upgrades to better accomodate the extra weight, and improve safety. With the Ford Ranger being a smaller truck, you have to be careful about exceeding safe weight limits and cross winds. Do your due diligence researching weight limits and options for potentially beefing up your suspension to accommodate additional weight. We’ve listed some Ranger suspension upgrades at the bottom of this article. 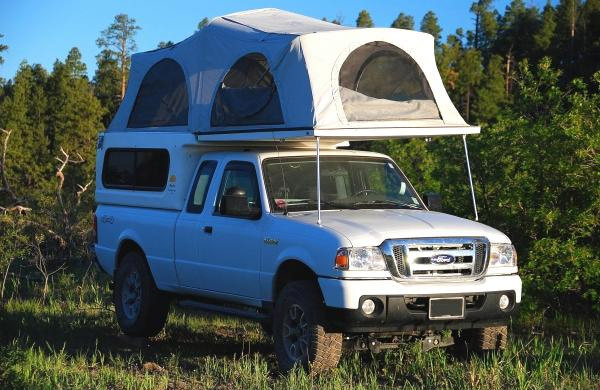 But despite these limitations, here are a couple potential Ford Ranger camper options that we came across, that are both lightweight and low profile in design when in transit. Interior headroom is 6 feet, 4 inches when popped up. Can sleep up to 3 adults with a queen size cabover bed and a couch/bed conversion. Based in Riverside, CA, Fiberglass Reinforced Product’s (FRP) Flip-Pac Camper is a unique and innovate camper option for Ford Rangers. 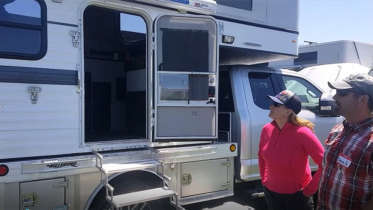 Essentially, it’s a large camper shell, with a fold out top (no pop-up), give you a large sleeping area with a queen size mattress, and lots of storage or internal living space below in the bed of your truck. NOTE: Flip-Pac now appears to be out of business, so we suggest checking the used market to find one if still interested. Sleeping bed weight capacity: 1,000lbs. EZ-990 springs provide 2,000 lbs. of level load capacity, mounts under factory axle u-bolt plates and has a lifetime warranty. Model #983 is for 1990-2011 Ford Ranger Applications. Maximize your Ford Ranger’s safe load carrying capacity, stability for a camper, and improve overall ride quality. 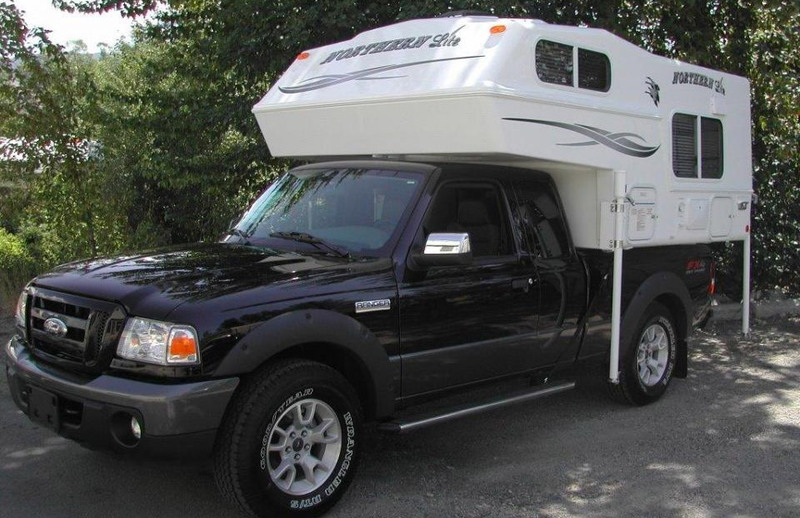 Helps improve handling characteristics of your Ranger when loaded with a camper. Keeps your springs actively under load. Significantly reduces side to side sway and body roll. If you know of other campers that work well with Ford Rangers, feel free to shoot us a comment below. 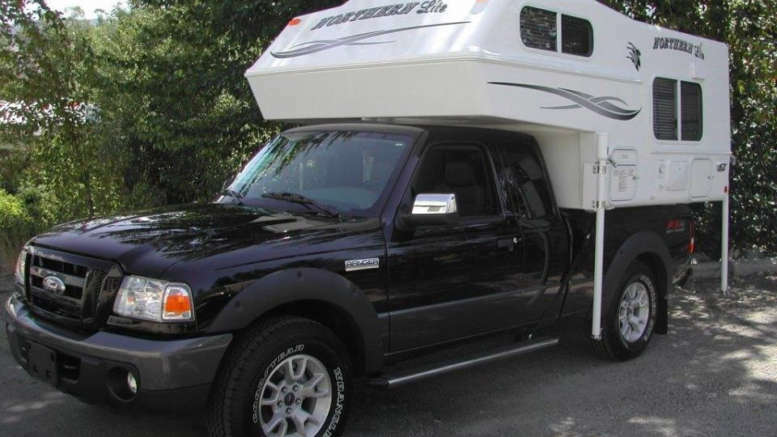 4 Comments on "Ford Ranger Camper: Options to Consider for This Midsize Truck"
There seems to be a very limited options for campers for small half ton trucks. Looks like I will be sticking with my topper camping. Thanks for the info Dave you are correct. Just wanted to mention them for those who want to keep an eye out for this camper on the used market. As Northern Lite’s 6’10” Lite Series Truck Camper is no longer in production are any of the Lance lite weight models suitable for the Ford Ranger ?